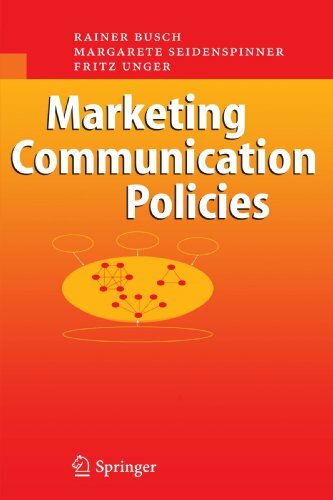 By summing up the authors’ lectures on Marketing Communications, this work introduces its users to the fundamental knowledge that is indispensable in this complex and exciting field of Marketing. It has been compiled especially for first-degree students of Business Administration and Marketing who take an interest in the international aspects of these disciplines. There are comprehensive illustrations, cases, questions for discussion, and case solutions. If you have any questions about this product by Busch Rainer Seidenspinner Margarete Unger Fritz, contact us by completing and submitting the form below. If you are looking for a specif part number, please include it with your message.